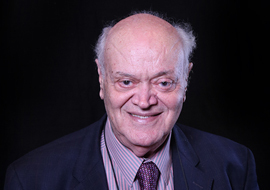 Dr. Badran graduated from the Faculty of Law, Cairo University, in 1967. Dr. Badran is deeply versed in law both academically and practically. On the academic level, Dr. Badran obtained his first Master’s degree in law from Cairo University in 1969. In 1975, he obtained his second master’s degree from Birmingham University, from which he was awarded his Ph.D. in 1979. Dr. Badran has been a professor of law in a number of universities & institutions, and was the founder-director of the English Law Section in Cairo University Faculty of Law (opened 1996). Additionally, in his role as a legal jurist, Dr. Badran is the author of more than twenty-five books and a considerable number of legal articles. On the practical level, Dr. Badran, in his professional life, has broad experience in commercial, shipping, petroleum, construction, and government contracts law. Dr. Badran has raised this office to an outstanding position not only in local arbitration, but also international arbitration administered by such major arbitral institutions and centers as the London Court for International Arbitration, International Chamber of Commerce, and Cairo Regional Center for International Commercial Arbitration. Dr. Badran is frequently selected to chair arbitral tribunals in major domestic as well as international commercial disputes. He is also a member of the Advisory Committee of the Cairo Regional Centre for International Commercial Arbitration. Dr. Badran advised the Egyptian Government regarding many cases before ICSID. Dr. Badran is an accredited arbitrator at the Cairo Regional Center for International Commercial Arbitration (CRCICA) and the Dubai International Financial Centre – London Court of International Arbitration (DIFC-LCIA). Dr. Badran is also a Fellow of the Chartered Institute of Arbitrators (London). In the course of his practice before national courts, Dr. Badran has handled major litigation cases, especially those brought before the Conseil d’Ėtat.